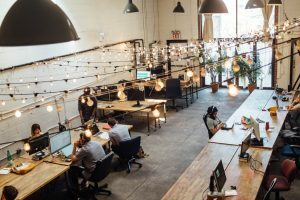 Building a workplace fit for the current working landscape and beyond is certainly a design challenge, but one that’s inevitable considering the changing face of work in the modern era. 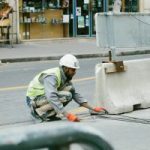 This post will explain some key design considerations that construction companies and designers should be aware of, to make sure that workplaces are fully optimised in the future. No ifs ands or buts – new buildings must be eco-friendly. Whether you’re using less carbon or even striving to carbon-neutral status, offices, like other buildings, need to be built in harmony with the environment. This will lead to businesses having less of an impact on climate change – as well as benefiting from lower energy bills. From the construction stage onwards, there are numerous ways you can reduce your building’s impact. Modular construction techniques, for example, outsource a lot of the actual construction to factories, so the immediate impact on the site’s surrounding area is reduced. In terms of design, eco-friendly windows and ventilation can help workers to keep cool (and avoid overuse of air conditioning in the process). Many studies have been conducted that conclude with the same uncomfortable fact – working in an office is not beneficial to our long-term health. In order to combat these scary stats, new office buildings must leave ample room for various features that’ll improve health and wellbeing amongst workers. From a quiet room where workers can find respite from a busy sales floor to a shower and changing area where active commuters (either cyclists or runners) can get ready for the working day, there are possibilities galore. This room could also be used as a secure space to store commuters’ cycling equipment, reducing the risk of theft when cycles are parked on the street outside. The age of the wholly open-plan office is coming to an end, following a recent groundswell of opinion against such workspaces. What should replace the open-plan era? Something flexible that allows for collaboration as well as singular focus. Designers should consider walls that can be rolled back at will, to allow the space to be adapted for different circumstances and applications. Are half the team swamped by a high-pressure project? Create a room so they can focus, while the rest of the office can collaborate on other important issues. A flexible workplace needn’t necessarily have a standard array of desks – you could opt for a ‘coffee shop’ style atmosphere instead, with collaborative tables and moveable furniture to encourage the free exchange of ideas. Make sure there’s high-quality Wi-Fi up for grabs throughout the building, as well as plenty of power sockets so that laptop-bound workers’ flows aren’t interrupted by a lack of power. A purpose-built office shouldn’t feel cramped or suffer from poor sight lines or a lack of access for disabled workers. Make sure there’s plenty of room for wheelchair turning circles, and that multi-level areas have ramps rather than steps. In the same vein, the office should also be welcoming and bright – so leave plenty of room for floor-to-ceiling windows that allow generous amounts of light. Following these forward-thinking considerations will lead to a workplace that is functional and future-proof – a winning combination at the heart of every successful office development. Alex Jones is a features writer for Start Fitness – providers of running, cycling, gym, football and outdoor products. What can a Gen Z apprentice bring to your business? Is Print Still Valued in Our Digital World? Does a tradesman really need insurance in the UK? Working in the London area, including Alexandra Palace, Muswell Hill, East Finchley, Southgate, Arnos Grove, Friern Barnet, Chipping Barnet, New Barnet, East Barnet, Woodside Park, Oakleigh Park, Whetstone, Totteridge, Highwood Hill, Barnet Gate, Arkley, Borehamwood, Well End, Potters Bar, Cockfosters, Fortis Green, Highgate, Hampstead, Golders Green, Hampstead Health, Parliament Hill, Mill Hill, Mill Hill East, West Finchley, Finchley Central, Grove Lands, New Oarleans Walk, North Wood, High Gate Hill, Cornwood, Creighton Avenue, The Bishops Avenue, Enfield, Highgate Village, High Barnet, St Albans, Radlett.